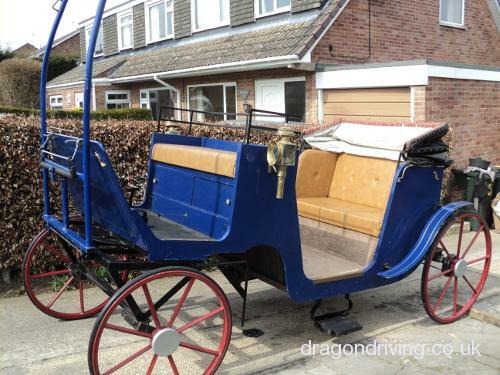 178 results found in Four wheeled Carriages for sale. Advertise your 4 wheel carriage for only £6 until sold. 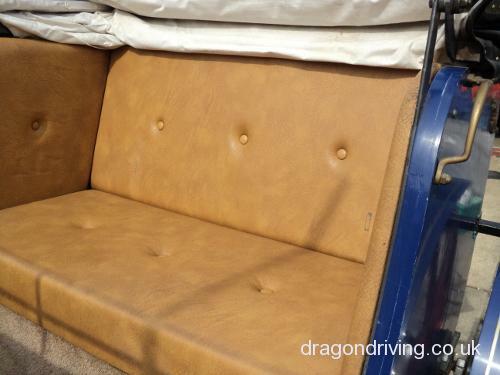 Quality Phaeton for restoration, leather upholstery. Comes with pole and shafts, one shaft needing repair. Rubber wheels, hydraulic brakes. Drawn by 15.2hh..A well known phaeton with known history. Would restore to showpiece condition. Used as wedding carriage and pleasure drives. Spindle back wagonette, four wheel with six seats, two up front with four facing each other at rear. In sound condition but has been dry stored for a number of years. Previously part of a vintage collection. Needs some TLC, seat upholstery and some paintwork lining out would make it very useable. Collection from East Kent. Dimensions: 84" from foot board to back of seats. 62" wide. Seats 53" from ground. Shaft mountings 36" from ground. Shafts 63" to tugs, 72" to tips. Front wheels 38" diameter. Rears 48". Horse drawn Hearse, ideal restoration project, owner no longer does horse drawn funerals. Comes with pole, no shafts. Also used for Halloween parades, etc! Marathon carriage, swingle tree, disc brakes need a little attention. Mike Matt Artistic wheels. In v good condition. Also full set of harness. American lightweight buggy, runs very smoothly. To fit 13.2hh. Barn stored, back step added. No longer used as pony gone. Very good 4 wheeler on solid rubber tyres. Fit 13.2hh upwards, front and back disc brakes, suspension all round, seat moves backwards and forwards. Nice and light cart, very easy to move. Ideal for every day use. Any viewing welcome, any questions ring and ask.